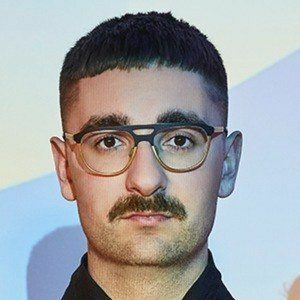 Keyboard player and bassist for the English indie and alternative rock band Alt-J. He was a fine arts student at Leeds University along with his bandmates Joe Newman, Thom Green, and Gwil Sainsbury. Upon graduation the four of them moved to Cambridge to really dive into their music and produced their debut album An Awesome Wave. He has said in interviews that their reason for success is that they didn't let fame go to their heads and they don't act spoiled. His girlfriend's name is April. Miley Cyrus is a big Alt-J fan and blasted their song "Fitzpleasure" in the various world arenas during one of the breaks on her Bangerz tour.